Product prices and availability are accurate as of 2019-04-16 19:18:07 EDT and are subject to change. Any price and availability information displayed on http://www.amazon.com/ at the time of purchase will apply to the purchase of this product. 3 light modes--high-beam white spot light, low-beam white spot light, and red night vision. 80 lumens of light; 8.5 hours on max setting; light beams reach a distance of 25 meters. 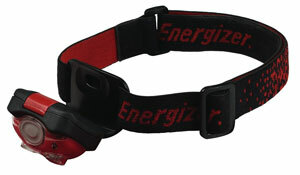 The Energizer 4-LED headlamp with red night vision and 2 white spot light options, high or low. 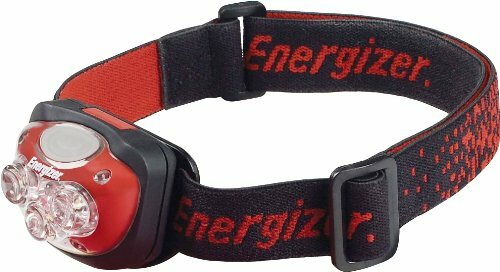 The Energizer 4 LED headlamp includes a water-resistant design, powerful LEDs, and a comfortable head strap. The three white LEDs and one red LED create the three light modes offered on the headlamp: high-beam white spot light, low-beam white spot light, and red night vision. 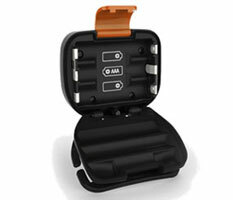 In white spot mode, the light provides up to 80 lumens of bright white light that reaches a distance of 25 meters. The headlamp's woven, wide nylon headband allows for comfortable wear and easily adjusts for the right fit. 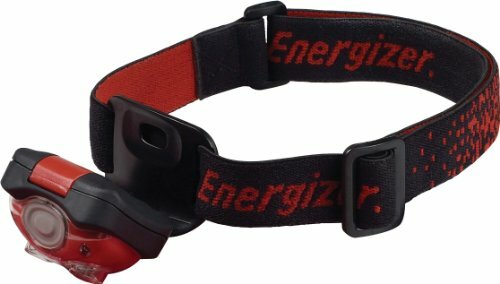 The Energizer 4-LED headlamp's textured band and cushioned light compartment comfortably keep the headlamp securely in place. Even more, the water-resistant light head pivots up to 90 degrees to aim the light where it is needed most, without the need to remove the light to readjust. The Energizer 4-LED headlamp is powered by three AAA Energizer Max Alkaline batteries (included) and will run up to 8.5 hours on the maximum setting. The batteries can easily be replaced as needed--simply remove the strap and open the compartment behind the LEDs to access the batteries. 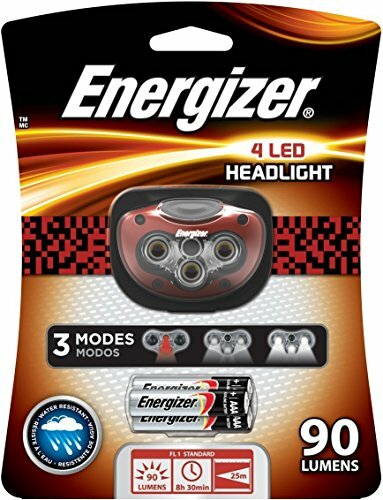 Actively involved in developing ANSI (American National Standards Institute) industry standards for the flashlight category, Energizer looks for ways to provide consumers with the best light solutions possible. ANSI Standards help measure these types of qualities and much more so that consumers can make better buying decisions when shopping for a flashlight.